There are more than one million homes in Orange County, CA and the population is still growing. If you own a home in this area of Southern California, it is highly likely that you will remodel or upgrade your home within the next several years, starting with your kitchen and bathrooms. If you’re like most homeowners, you may not know where to find a reputable, highly skilled contractor, much less where to look for new cabinets and countertops. 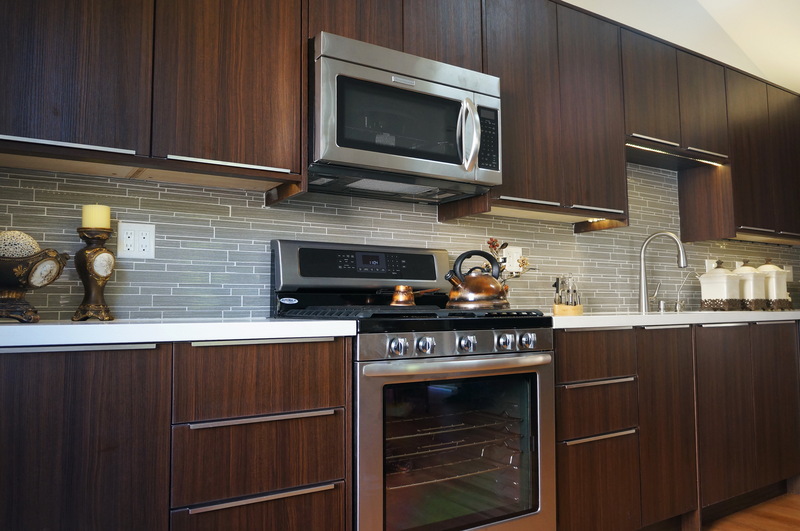 Because there are more than 9,000 places selling kitchen cabinets in the Los Angeles area alone, not counting online shopping sites, the task can be daunting. Most people start out researching companies online, looking for someone good in their local area. However, the companies in your area may not have the best products at reasonable prices. What makes us stand out as the best place to find top quality kitchen cabinets is that we are actually the manufacturer. With the quality of our workmanship and our free custom design service, the overall value you receive in terms of quality and price is unparalleled in the industry. Our 70,000 sqft. warehouse in San Gabriel allows us to serve all of Southern California as the entire building is stocked with RTA kitchen cabinets, granite and quartz countertops, range hoods, mosaic backsplashes and a nice range of handles and fixtures. Our professionals will come to your home to take exact measurements so that every cabinet and drawer we build will fit perfectly. We also offer professional installation services to take the stress and worry off your shoulders. If your kitchen renovation budget is in excess of $20,000 you may find companies that can give you a good result for the money. But if you want to keep the cost under $10,000 for completely remodeling your kitchen, you can count on us to create amazing solid wood cabinetry with top quality countertops and stay within your budget. No one else in Southern California can give you the look you want for the price. We have the most popular styles of kitchen cabinets to choose from. If you like a traditional look, we can offer you a stunning American Walnut or the Antique Coffee Glaze. If your taste is more contemporary, you can choose among the Cinnamon Oak Shaker, Mahogany Shaker, White Shaker or the Espresso Shaker. In fact, our White Shaker doors are unrivaled because we make them from one piece of solid wood panels. The center panel is routed out to create the shaker design. As a result, you have the most beautiful door with the cleanest lines found anywhere. The door is coated with a piano-like finish with polyurethane, creating an amazing surface that is easy to keep clean and maintain like new for many years. When you check around you will see that many other companies charge 3 to 5 times as much for cabinets of lesser quality. We invite you to visit our showroom and schedule a free custom design quote so that you can see this for yourself. If you like an ultra-modern look, we can show you our two lines of European textured flat panel melamine kitchen cabinets. The Milan line uses a beautiful combination of tans, grays, and a little brown, which makes it blend with just about any setup in your kitchen. Our Cocoa line blends dark brown with linear patterns in black. Both cabinet styles come standard with ¾” plywood panels and soft European style aluminum tracks as well as soft close hinges. The quality is amazing and they both come with a very affordable price. If these European-styled kitchen cabinets appeal to you, please have a look at Cabinet City before you go anyplace else. You don’t want to squander your hard earned money elsewhere. Once you’re ready to proceed with your kitchen remodel we will take you step-by-step through the entire project. We will sit with you and plan out each sequence of the remodel from beginning to end. We will work with you on selecting the ideal kitchen cabinets, fixtures, and countertops to give you the look you want for your kitchen. We will make sure you get a great looking kitchen while working within your budget, and through it all, we will ensure that the process is enjoyable, not stressful. If you are going to do some comparison shopping before you make a decision, make sure that you consider Cabinet City as one of your choices. The kind of money you can save with the service you receive as well as the quality of the end result will certainly be worth your time. There is simply nowhere else in Orange County that can give you the kind of value that you will find at Cabinet City!